With Law School Match, you can find your dream law school. A career in law starts with identifying the law schools that best fit your specific needs. Browse over 200 law schools and narrow your search by location, LSAT score, GPA and tuition. Explore an exhaustive list of the nation's finest law schools. Identify law schools that are the best match for your specific needs/goals. 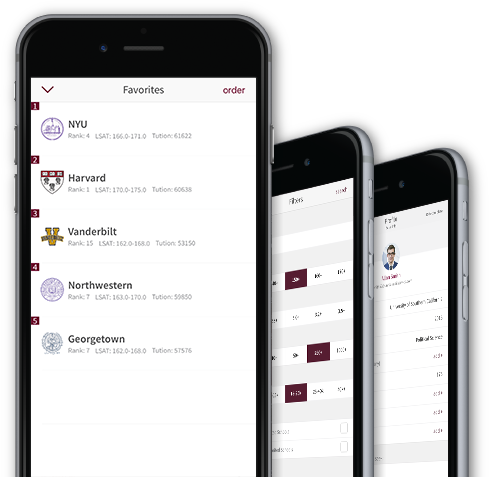 Filter by location, LSAT score, GPA and tuition & more. Complete your profile to further refine your target law schools.